Half way between Saumur and Anjou is one of the most historic areas for viticulture on the Loire. In the heart of the Haut Layon we find husband and wife team Antoine and Nathalie Leduc of Domaine Leduc-Frouin. Antoine Leduc whisked us off to view the vineyards while and Nathalie disappeared to produce what later turned out to be a truly stonking picnic served in the family’s troglodyte cave. An area dominated by the production of rosé Leduc-Frouin make their fair share but also focus on quality Chenin production. The Domaine has 30 hectares of vines all of which have gone through 20 years of experimental planting to find the most suitable grape variety for each site, The result being the vigorous Grolleau planted on the infertile sand, the Chenin taking advantage of the limestone and the Cabernet Franc and Sauvignon on varying levels of clay, schist and gravel. Interestingly the local vigorous Grolleau Noir has large, open conical bunches which have adapted perfectly to the local soils and seem naturally resistant to odium and mildew. 50% of the Leduc-Frouin is rosé but winemaking at the domaine has changed over the last few years as warmer summers and riper grapes have allowed Antoine and Nathalie to produce lighter fruity rosés with less maceration. These rosés along with the other Leduc wines were very reflective of the dedication to producing high quality grapes on small parcel sites. 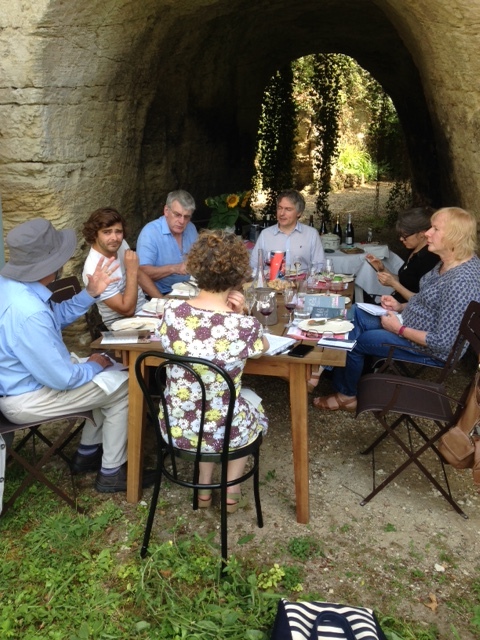 The Domaine’s wines were served with a delicious picnic in the Troglodyte cave, a welcome haven at 34°C in the shade. Across the board fruit and acidity were quite beautifully balanced from the vibrantly fresh yet autolytic Cremant de Saumur to the simply delicious 100% Grolleau Demi sec Rosé d’Anjou, (not normally my thing but this I purchased to take home) to the ripe, honeyed and minerally Anjou Blanc. This wine had a richness and roundness which prompted the question of MLF. 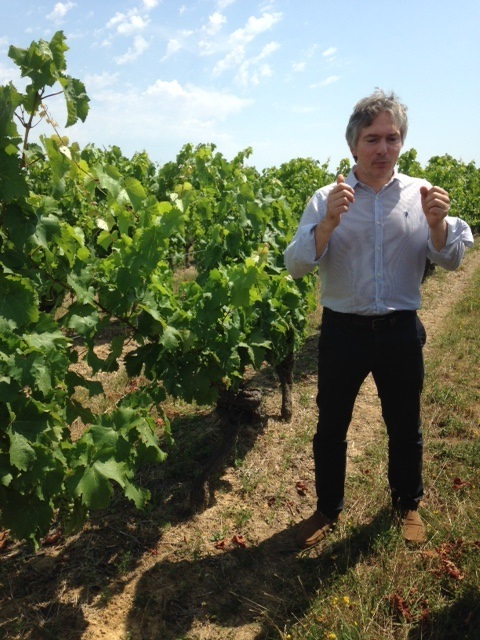 The response from Antoine “Chenin would be undressed if you removed the acid” It’s all about terroir. Love it! The tasting and picnic were finished off with a perfect pairing of cherry tart and a fresh but sweet Cabernet d’Anjou. It would have been very easy to kick off the shoes, sit back and stay for the rest of the day. Merci beaucoup Antoine and Nathalie.